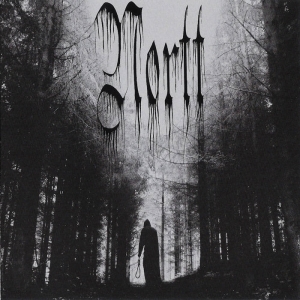 Veteran Czech Gothic/Death/Doom band R.E.T. intend this 30th anniversary year to be their swansong. Co-founder Miroslav explains why to Comrade Aleks, in this look at their long history. "The doom scene of Eastern Europe is a pretty dark place, and yet there were a few original bands in the '90s. Want to know more names? We'll discuss that question when the stars are right. But R.E.T. 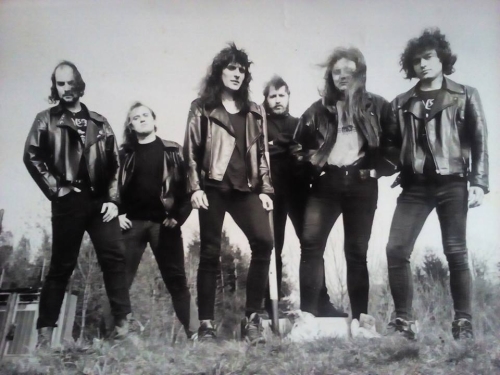 actually started as a Heavy Metal band in 1989, though they didn't release anything until 1995, when their first album 'Depression' turned out to be a short but sweet piece of real Death/Doom (depressive, as we can conclude!). R.E.T. is still alive despite big line-up and stylistic changes, there are six full-length albums and one compilation of early material in their discography, and this year they're going to celebrate the 30th anniversary of the band. I encourage you to learn more about them with the help of one of the founding members: Miroslav Holub (keyboards)." Talking to Comrade Aleks, R.E.T. co-founder Miroslav Holub. (Photo: Pavel Zubek). Hail R.E.T.! This year the band celebrates its 30th anniversary - accept my congratulations! So how does it feel to have kept the band running for so long? Thanks for the congratulations but there are bands, which play even longer together :J The recipe for keeping people in the group together is that they must be primarily good friends... which in our R-E-T applies and we are together not only at concerts, in the studio and at rehearsals, but we go together for a beer, on a vacation, our families know each other very well. R.E.T. was formed in 1989, but for about six years there were no official recordings. What did you do all this time? 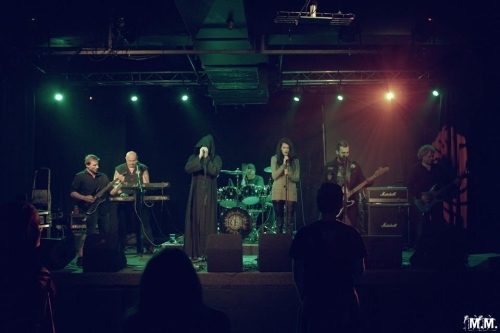 We started as a group playing covers of songs, at the beginning of our career we played heavy metal style and when writing our own songs we used only Czech language. Back then we also recorded a few songs in our mother tongue, however we only published them on album X when the group had a 10th year anniversary. On our upcoming album which maps the whole history of our group, and style-wise comes back to our roots, we have dedicated the last song to this period in our career. What formed the band's sound in the early years? How far did you go from your roots when finally in 1995 the full-length album 'Depression' was released? As I already said – overall sound was focused on heavy metal until 1993. In 1993 we made personal changes in the band, when I moved from solo singing to keyboards and guitarist Yarin began to sing solo... well and for his vacated guitar post we took another guitarist Danek. In this lineup, we threw ourselves into then new and modern style of a doom metal that captivated us, and there was a total transformation. We started to use the English language, we undertuned the guitars, slowed the pace and „hardened up" much more. The difference was in style and sound and it was really striking. That was the first serious recording session for the band: how did you spend it? How much time did you have at the studio? As I mentioned we recorded some songs still in the period of heavy metal so that originally a demo song of Depression which, after listening by our publisher Tagâ Records was released as debut album, we recorded in the third studio in order. If we knew in hindsight what a success the album would be (by the way it's been already sold out for a long time) we would have „fiddled" with the recording much more but at that time we had prepared the stuff on our second album In Memories. We had only three days in the studio and out of that one day was focused only on mastering. 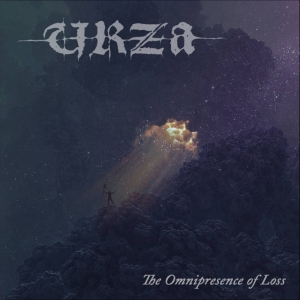 The album is performed in a pretty raw but honest and melodic Death/Doom vein, yet it has quite "not doomy" lyrics, like in the song 'Honour To Hippies'. Can you tell the story of this song? What inspired you to turn to this theme? Yes, you're absolutely right and I'll explain the reason. In fact, I'm very glad someone noticed. The first Doom song we came up with in the new lineup, we tried to sing in the Czech language and the text was written by our manager back then, Karel Šustík, who is older than us and remembers the time when the hippies were at the top. He wanted to give them a tribute through us. We had no idea what lyrics should be used in the style of doom metal and because we felt this text was really good, we translated it into English language and used it as an introductory song for the album Depression. The 'In Memories' album cover says that the songs are dedicated to past musicians whose names are recorded on tombstones. How did you come to this concept? During working on the album In Memories, our sound engineer Dalibor Korbut died tragically and on the album we decided to dedicate him the song 'Memory', then our manager Karel came up with the idea that we could devote the whole album to dead rock musicians and so, with a help of music critic Peter Coral, we compiled a list of deceased, famous musicians and we adapted the packaging and the name of the whole album to this idea. By the way, the album In Memories is generally much about death not just for its lyrics, the honor of the deceased musicians and friends but during its realization the mother of one of the band members died, and the author of the cover tragically passed away with his girlfriend in a car accident shortly after the album was released. There are three songs - 'In Memory', 'Eyes From Crying, Soul From Hope' and 'Time Of Joy' - which are united in one trilogy. What the story behind them? The trilogy is actually based on the Bible... We wanted to say, say what "probably" happens after the death of a human ('Memory') what he will be rewarded in the afterlife acording to how he acted during life on Earth and therefore immediately after death meets everyone that left this world before him ('Eyes From Crying, Soul From Hope') But then he follows his path where he is deserved and the time of joy is the better variant of the afterlife. 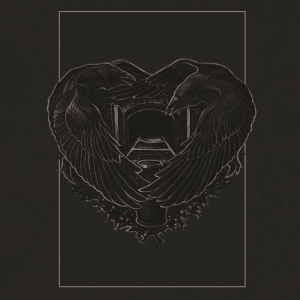 On this album you turned to a combination of Doom Metal and Neoclassical sound. Who was the initiator of this experiment? This special sound was created for the reasons of participation of guests and for metal atypical instruments such as violin, cello, flute, piano and all this accompanied by the sounds of the keys of the church organ and the classic Hammond organ. The band's third album, 'In Love With Blood' was released in 2002 - what slowed you down? How long did you spend writing these songs? The Album In Love With Blood took a really long time, but it wasn't because we didn't have what to record, we didn't have a publisher. Both our publishers (Tagâ Records and Sheer Records) who released the previous albums ended their activities and it wasn't until the year 2002 when we heard from the new publisher Crystal Production. Meanwhile in 1999, we released on our own expense the already mentioned album X which was released on the 10th anniversary of the band and we used recordings that were taken in the period before the doom metal and a record of live performances plus the first attempt of music done on PC. R.E.T. 's line-up remained almost the same, but 'Love With Blood' stands far from 'In Memory' because the more active use of keyboards adds a Gothic vibe to your music. How did you come to this? It was probably because the vast majority of the material was composed by our vocalist Yarin on his guitar. That's why I put a keyboards in the finished guitar passages which made the guitars stand out. 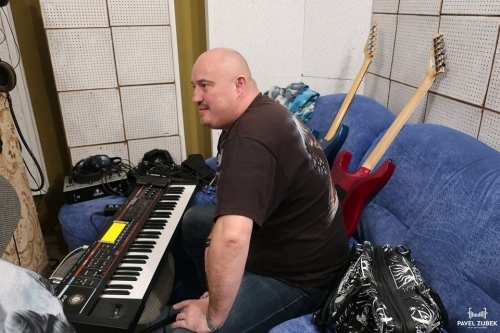 Over time, I began to devote myself to music creation, too and so it slowly became apparent that in the passages created by me, just the keyboards played a larger part. Important was to find the compromise, and I think we did. Did the switch of sound also change your fans' attitudes to the band? How did people accept it on 'Love With Blood' and further more experimental albums 'The Dark At The End Of The Tunnel' and 'New Feelings'? By changing the style which came with a change in the singing post, we lost some of our fans, but gained a lot of new ones. We had no need to change the overall style, but in the transition to only female singing it was different. Yarin is a very good and specific singer for which we have not found anyone as good and getting someone worse would not be the right choice... that is why we replaced an excellent singer with excellent singers and it is difficult to judge who is better :D. However, this album belongs to R-E-T and we are right to pride ourselves on it. It is only a pity that at that time it was „in" to have a band with female vocal, and so we were judged that it was only a fashionable affair, and we want to become a more commercial band. The sixth album, 'Coming Soon...', marks a kind of return to bigger tracks and a doomy sound. What inspired you to return to this? Didn't you want to return to R.E.T. 's roots? What's the band's current line-up and status? How soon will you return with new material? Current lineup is such that currently in the band are almost all the participants who ever played in R-E-T and it is for one simple reason. The year 2019 is the last year for the band R-E-T. We decided to end our career after 30-years of action on the Czech doom scene. We are one of the last of the Golden Doom era of the early 1990s and we are already tired of creating, performing, and rehearsing... In addition, the larger half of the founding members are over 50 years of their lives and some of us have even taken the role of grandfathers. We leave this space for younger and leave behind a total of 8 issued albums, which are released on CD, LP and MC platforms and one DVD from live concert. We have also released 3 official video clips and are preparing to shoot one... the very last (Good-bye one). We have played hundreds of concerts and we have experienced a lot of beautiful moments, successes and crashes, farewells and breakups. The most beautiful thing is that we all say goodbye as friends. We started to play as big friends and as friends we will also say goodbye to the band. The last year that is ahead of us, we want to finish only three concerts and that is 1.2.2019 at the closure of the club Barrocko-Třinec, in summer 6.7.2019 will say goodbye to home fans in Třinec at the Barrocko Fest in Vendryne and the last concert, where we will say goodbye to fans of Slovakia, will be at the festival Gothoom 18-20.7.2019. Our last, eighth album, called SILENCE, was done in early January and should come out in April 2019 again under the banner of the magazine Talon. The album in style maps all the R-E-T from today to the roots, when the band played Heavy Metal and sang in Czech, including members and the cast of instruments, back to its creation in the year 1989. This is why you will hear the solo singer playing guitar and keyboardist sing solo etc. Almost all members of the band were involved in the album. You will hear two basses, two female and four male vocals, and a total of four guitars. The album is very stylishly rich, but in no way it is lame and I think it will be ranked to one the best albums released by the band. Are you meaning this new album was really recorded by most of R.E.T. 's current and ex-members? How long did you spend recording it? How many songs have you done? The album was recorded and created by current and most of the ex- members of R.E.T. so the fans can also look forward for former vocalists Zuzka and Yarri singing with our current singer Paja. We made one song in the style of heavy metal where I also sang and we remembered the beginning of the band when we were doing this style. One song is played by ex-bass guitarist Zbysek Maly and four electric guitarists Roman, Danek, Yarri and Martin. The album contains six songs and one of them is a cover from Dissolving Of Prodigy. We uploaded this song last year as a tribute to their album and we really liked it so the last album includes this song. We spent one week in November and few days before Christmas in the recording studio. At the moment we are finishing the sound and the album should come out at 20.4.2019 published by Parat. Live in 2018. (Photo: Marek Maślanka). What are you meaning by speaking about a stylistically rich album? Will it be rather a compilation in this case? How much Doom and Gothic material have you put into this release? I mentioned the album contains six songs and each of them will create the period from the present back to the beginning when we were creating the songs in Czech language. The album contains our present doom style, gothic rock, doom metal and the last song is made in heavy metal style singing in Czech language. Audience and critics has to make their own opinion. How would you sum up R.E.T. 's message after all these years? What unites your first and your last album? What's the idea? At first point R.E.T. was created by good people and very good friends especially main members. We used to live as a family one time. We spent lot of time together going for holidays together, celebrating birthdays and many other activities. Our wives and kids knew each other very well and they are still friends. Even if some of the members left because of family reasons or studying or started business we stayed good friends and I believe it will be forever and we will always find the time to go and get some beer. We never had a problem with our music. Even if everyone listen the different kind of music we always found the compromise and put ourselves to our music. There is a difference between first to last album but we can still hear the R.E.T. in each of them and each of us can find in there what we like. What is our idea for the future? In our musical pension, we would like to listen with our friends to good music which we made at the period of R.E.T. We would like to remember the good old days with no internet or mobile phones, when people lived far away but in our hearts we were very close. Interviewed on 2019-04-02 by Comrade Aleks Evdokimov.